Come away with us, via Bali Ha'i, to Rodgers and Hammerstein's masterpiece. A special tribute to a special legend: Elaine Stritch. One of the stalwarts who keep Broadway music alive on the stage, in recordings, and on TV, Robert Goulet's commanding baritone and steely charm made him a fan favorite for decades. 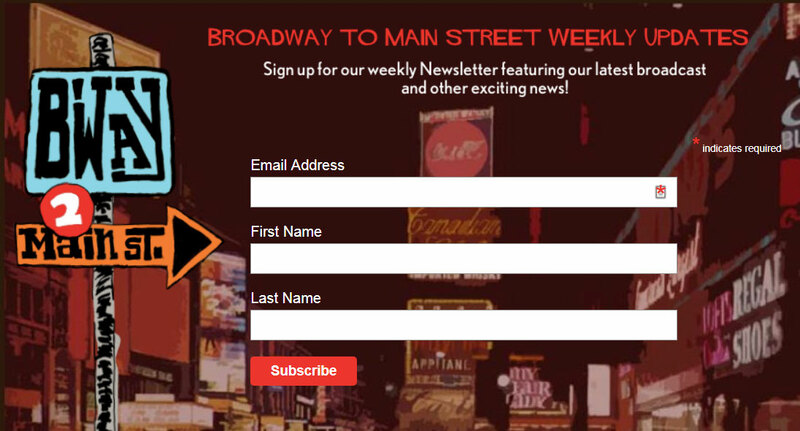 With all the excitement of the World Cup upon us, Broadway to Main Street will go around the globe in 60 minutes, bringing you show-biz anthems from South America, Europe, Asia, and Northern Africa.